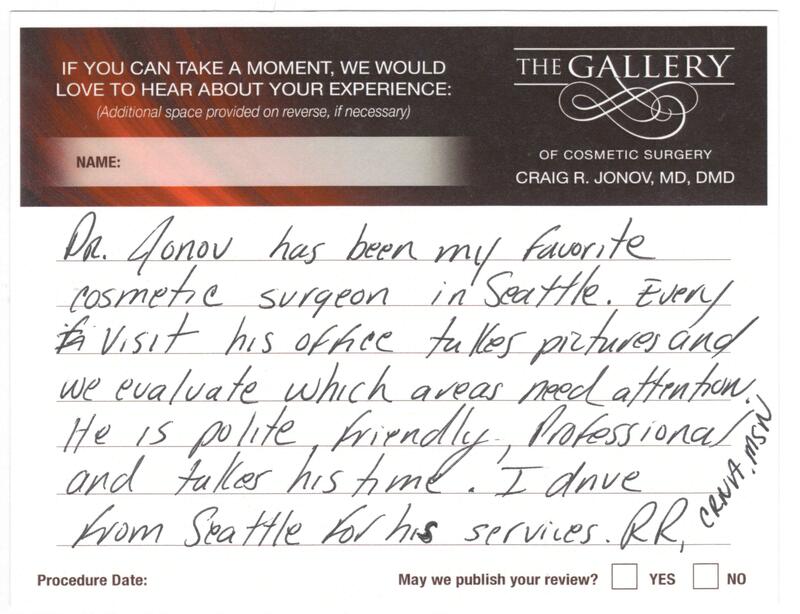 Dr. Craig Jonov, Seattle cosmetic surgeon, works tirelessly to create an exceptional patient experience that includes outstanding aesthetic results and ongoing support. 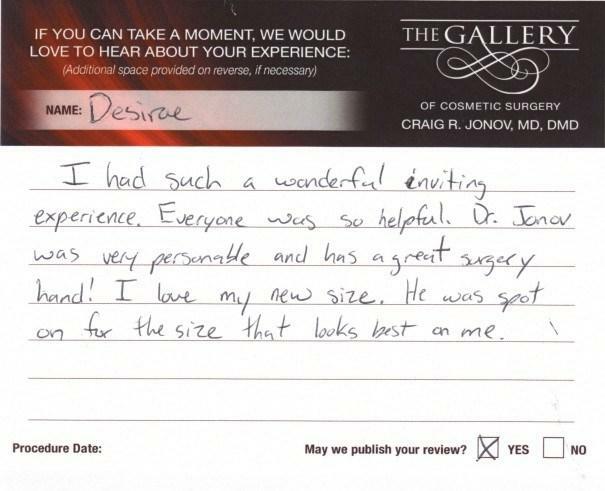 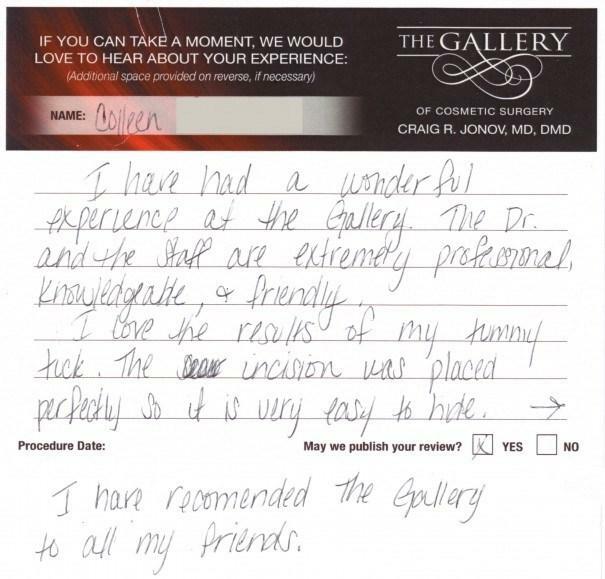 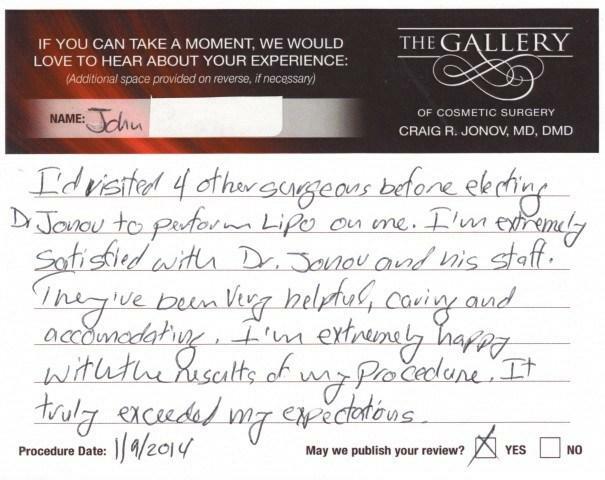 His patients consider him to be one of the best cosmetic surgeons in the Seattle area and many have graciously provided their feedback and patient reviews based on their personal experience. 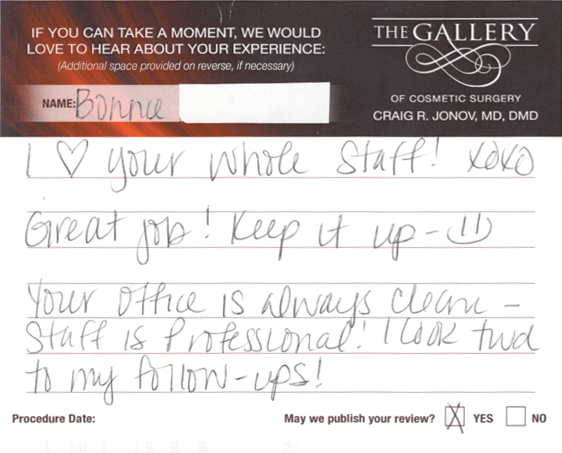 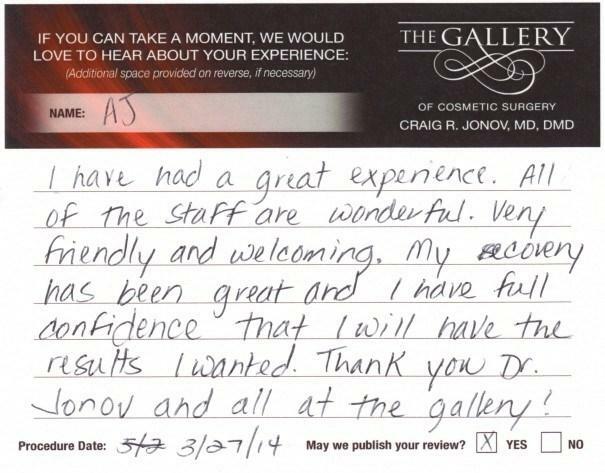 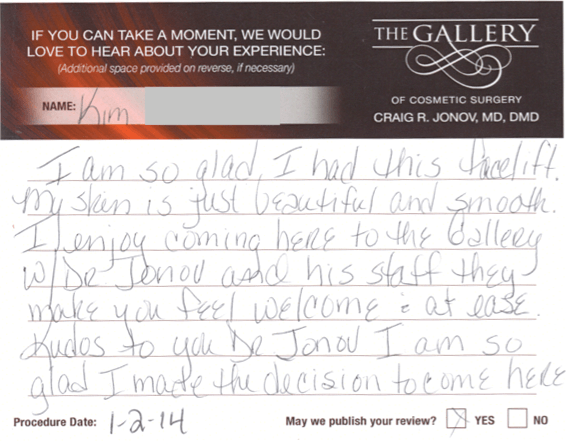 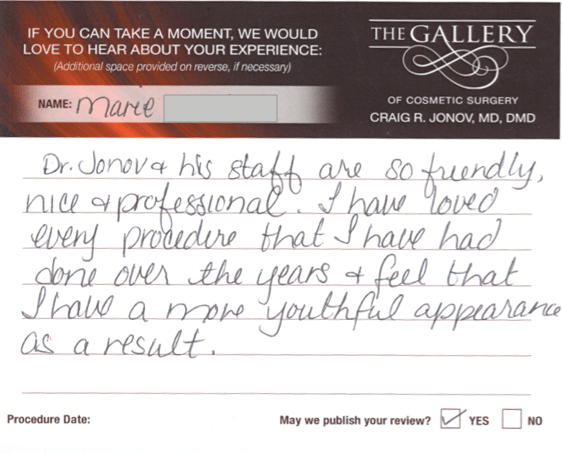 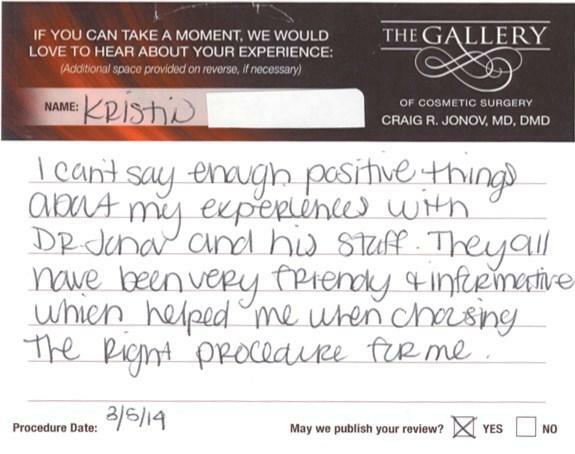 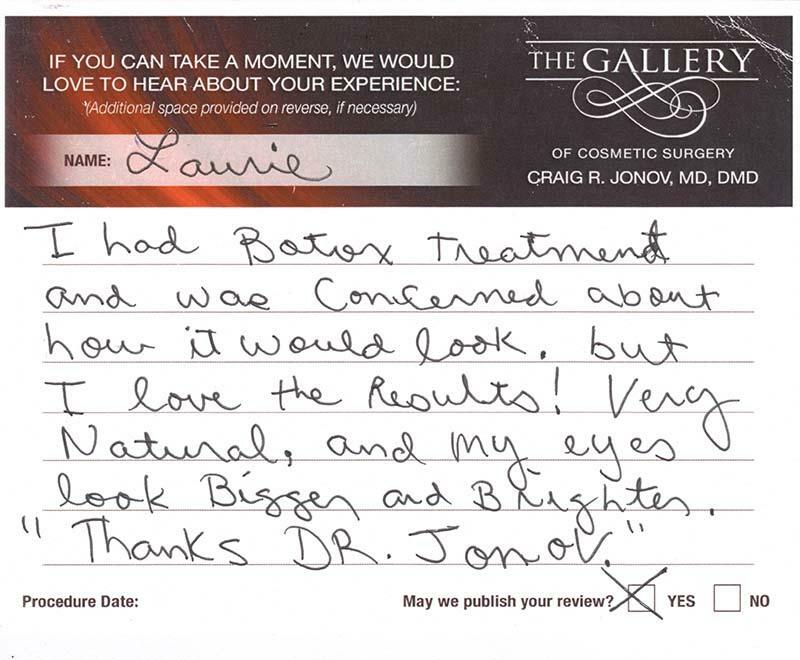 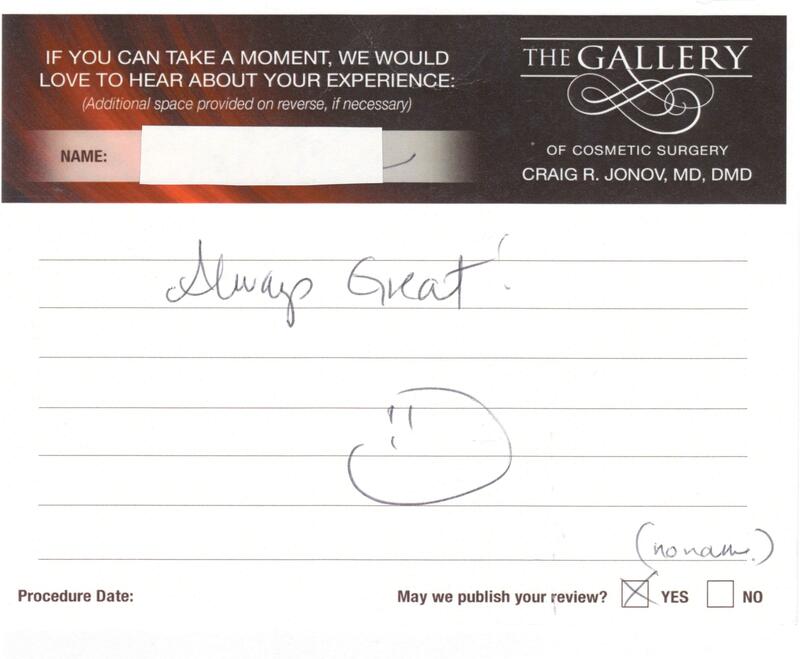 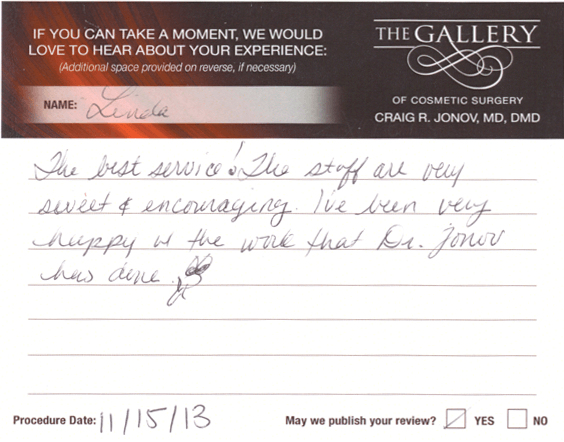 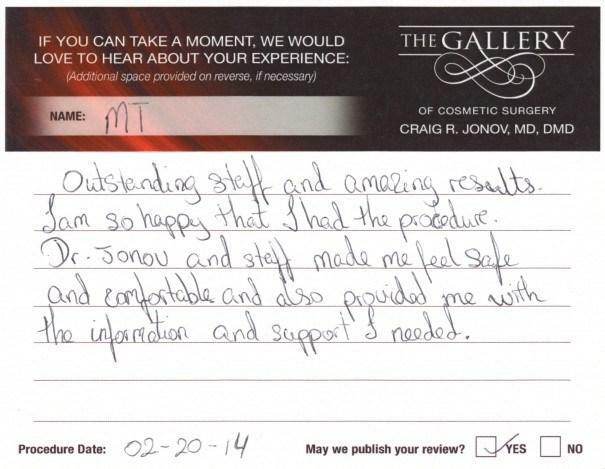 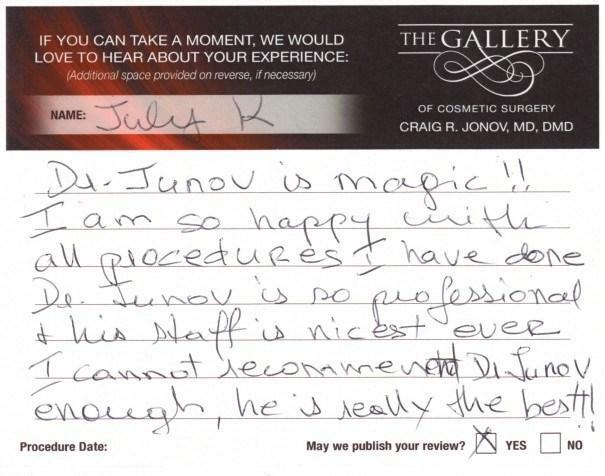 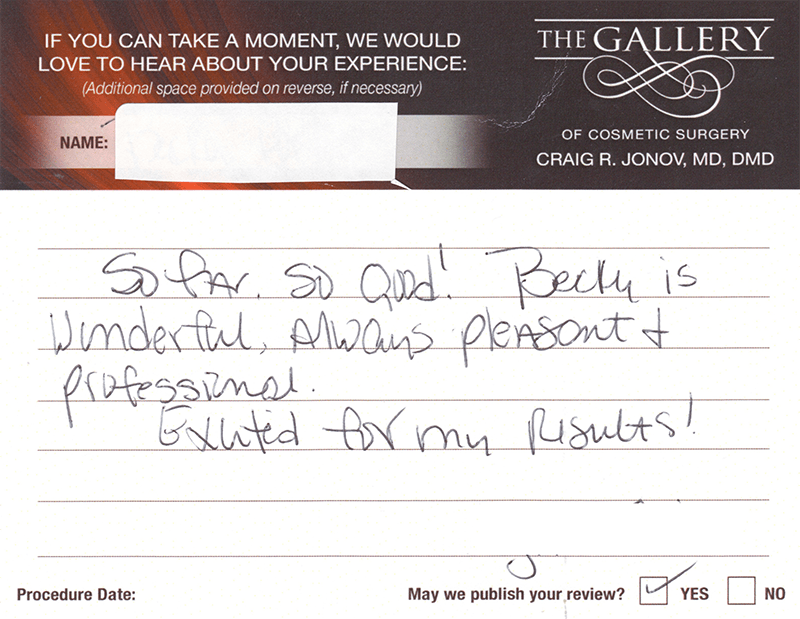 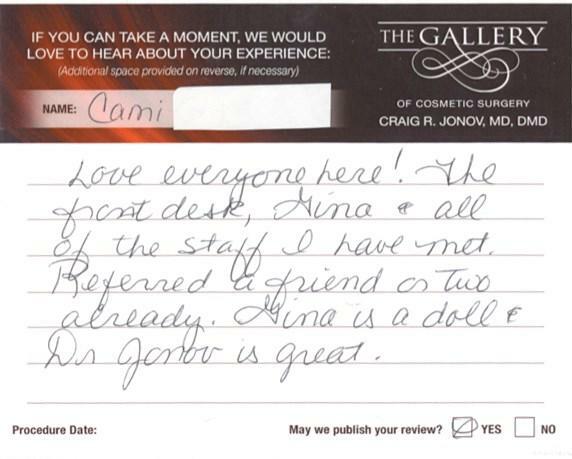 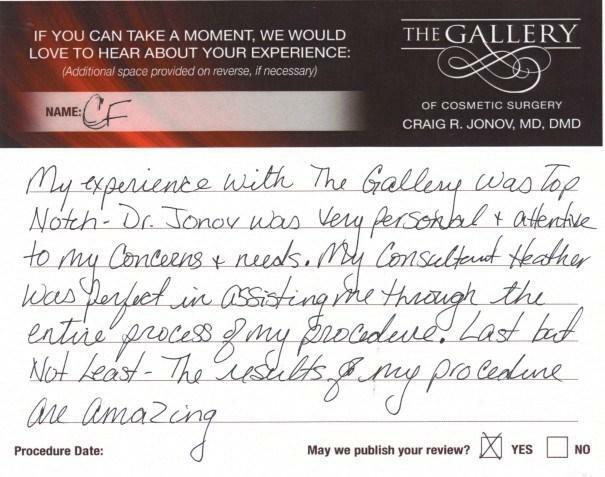 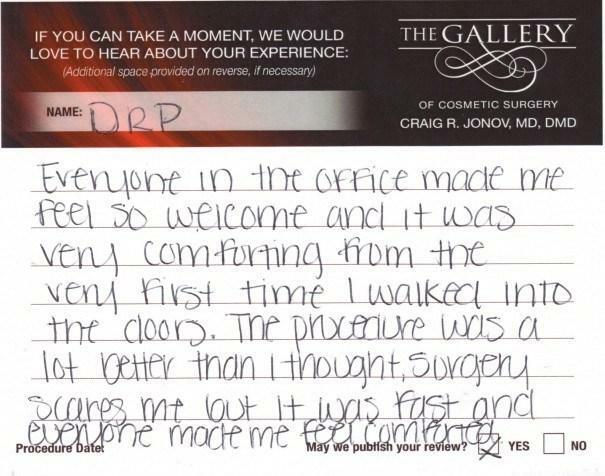 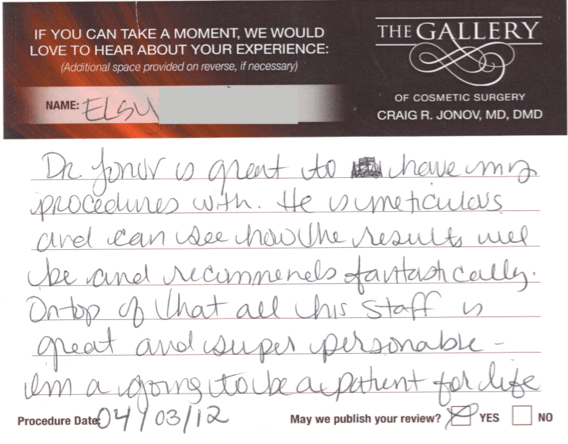 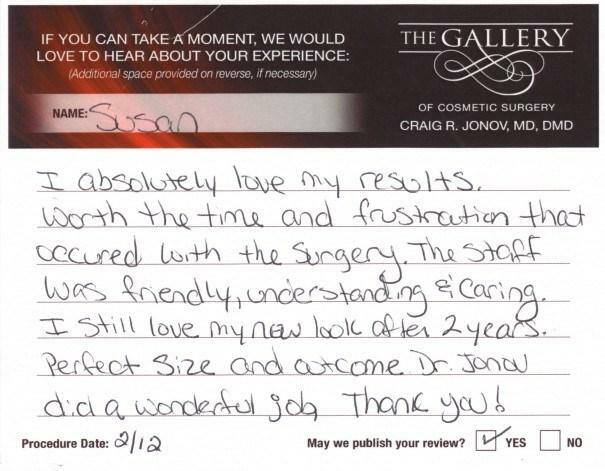 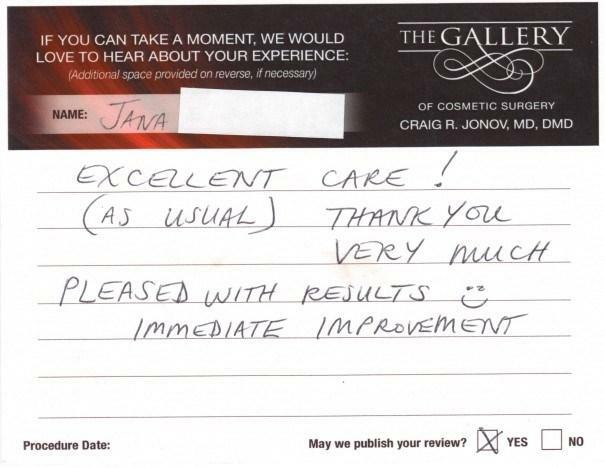 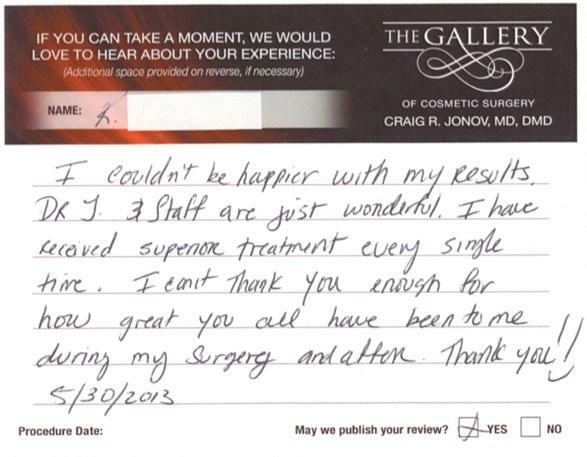 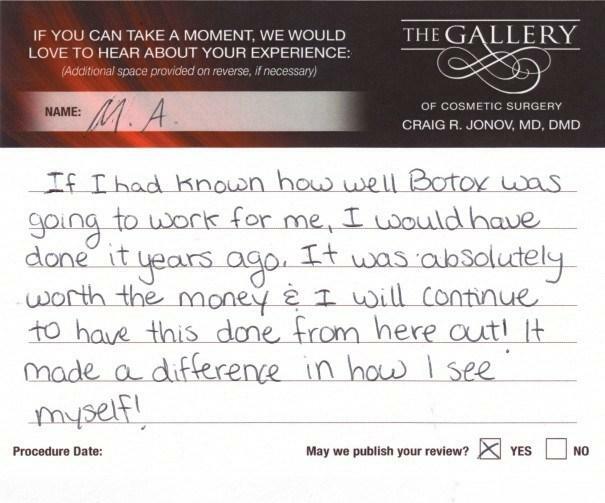 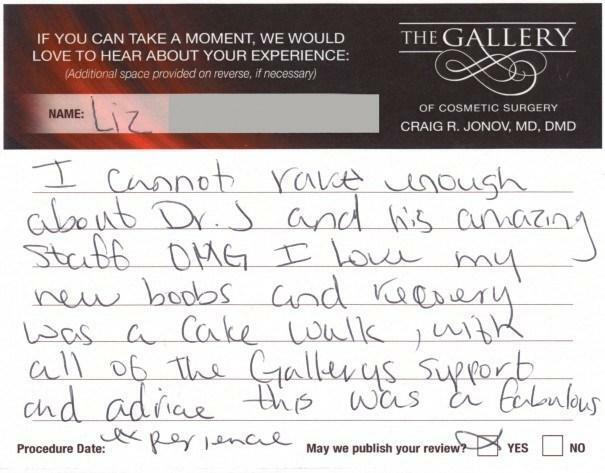 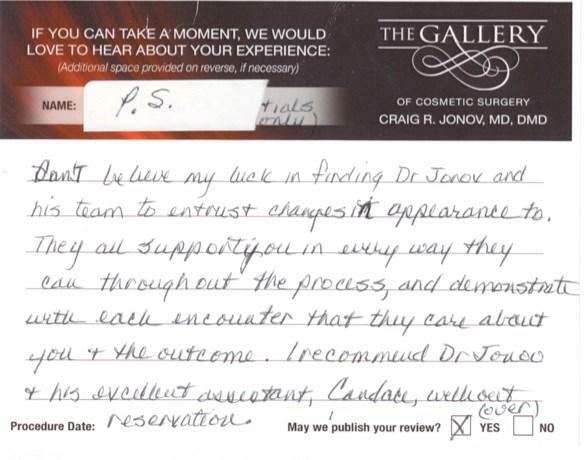 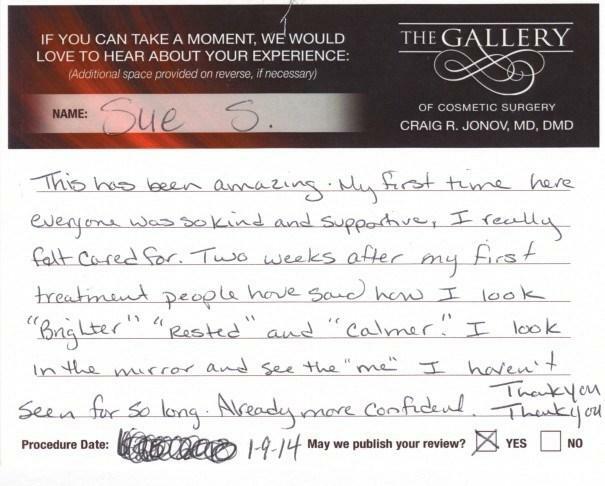 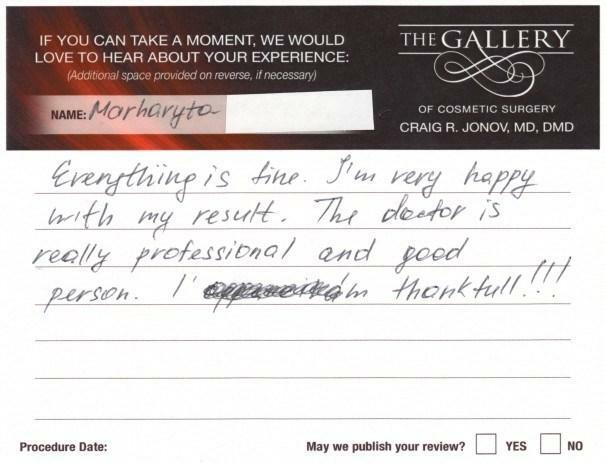 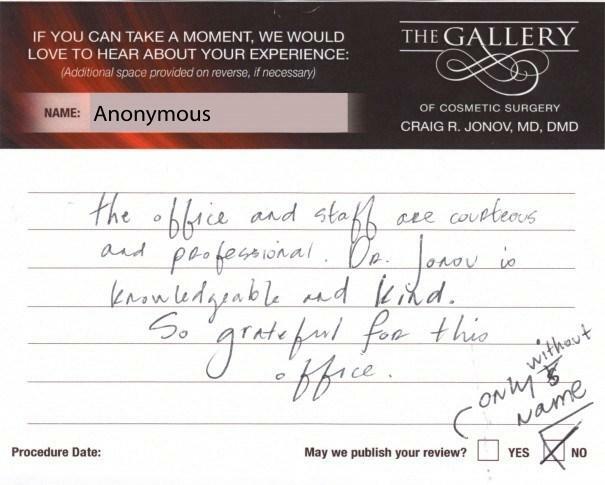 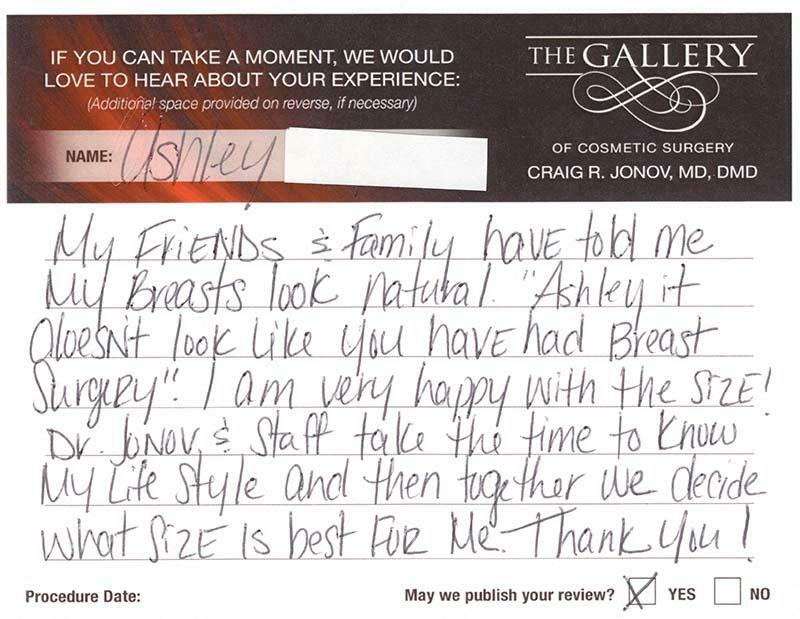 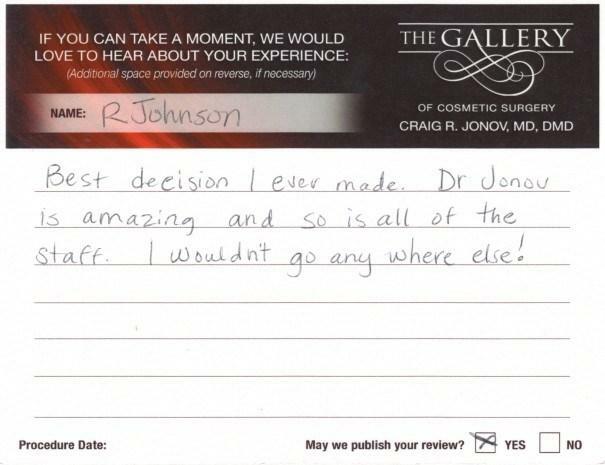 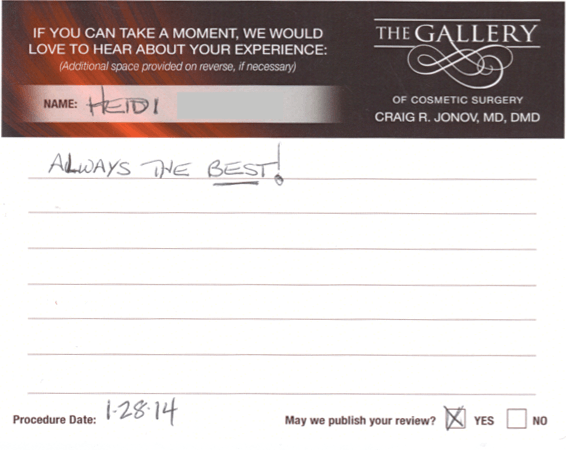 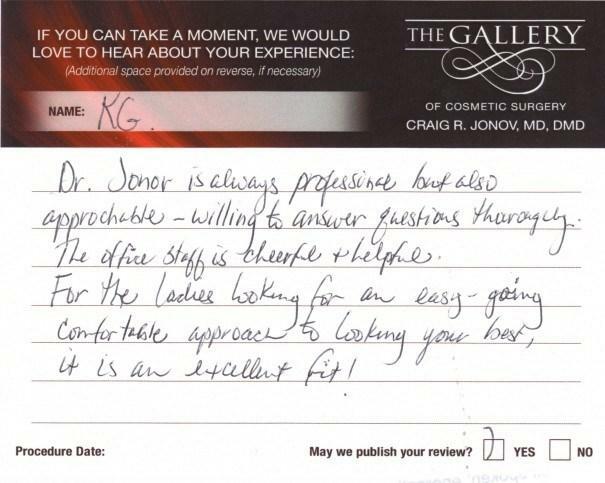 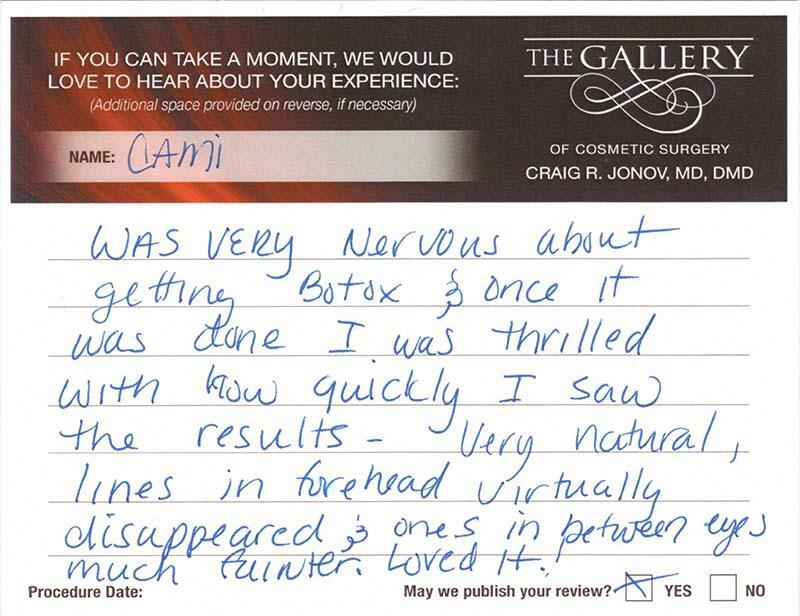 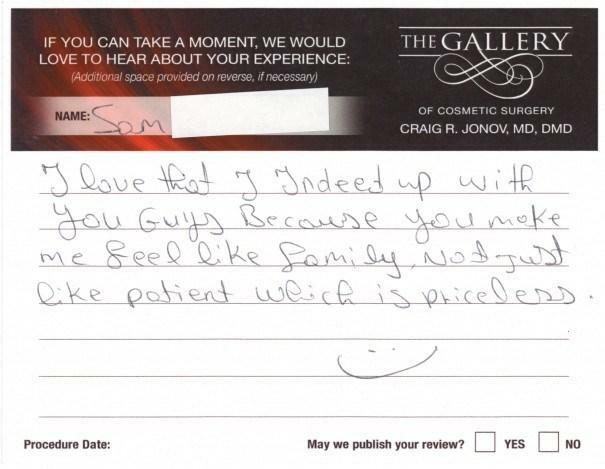 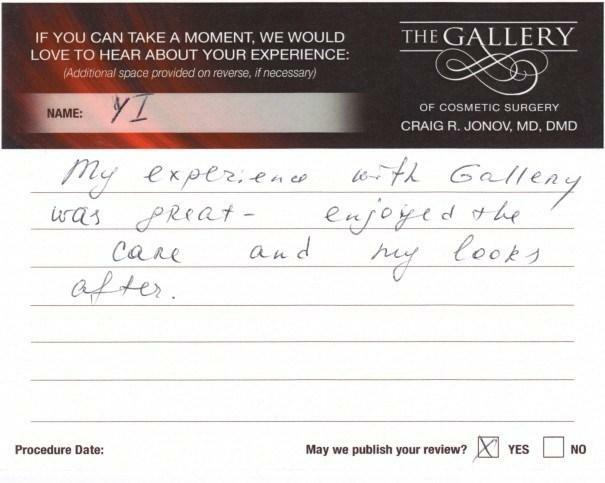 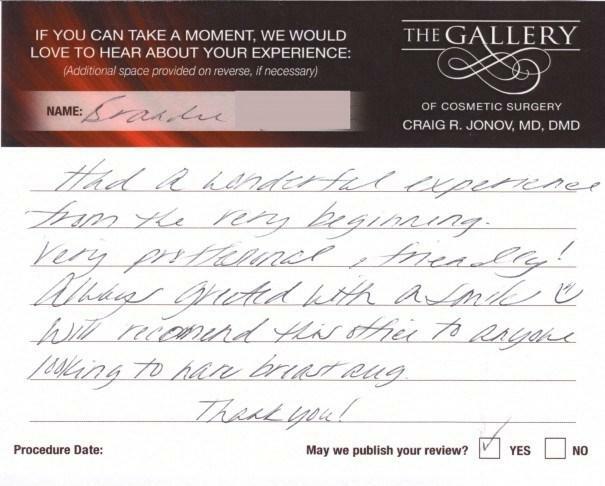 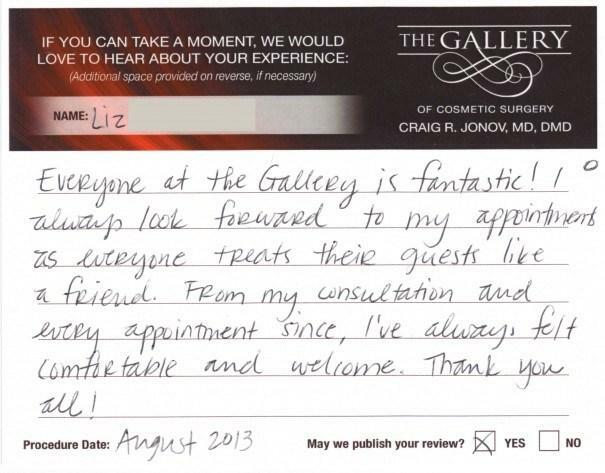 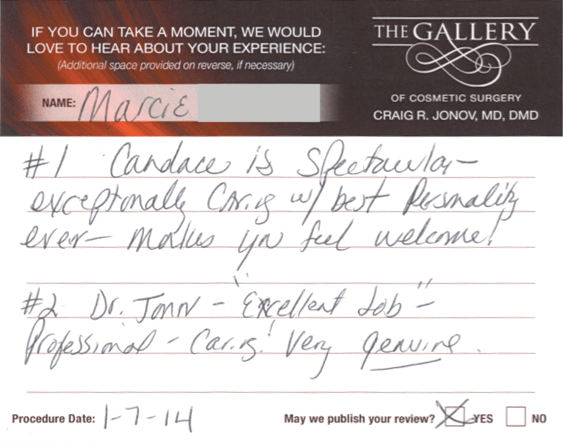 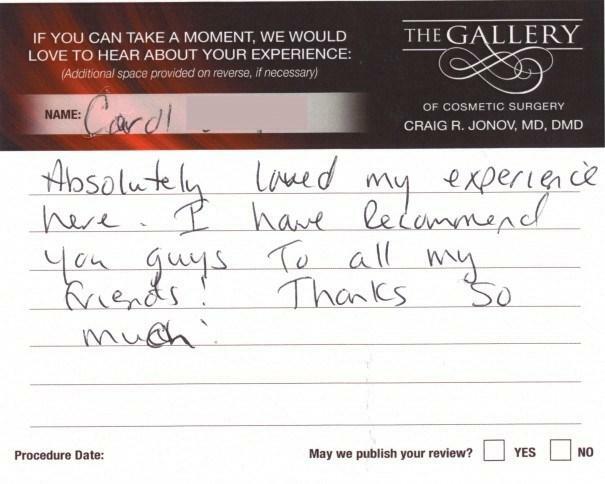 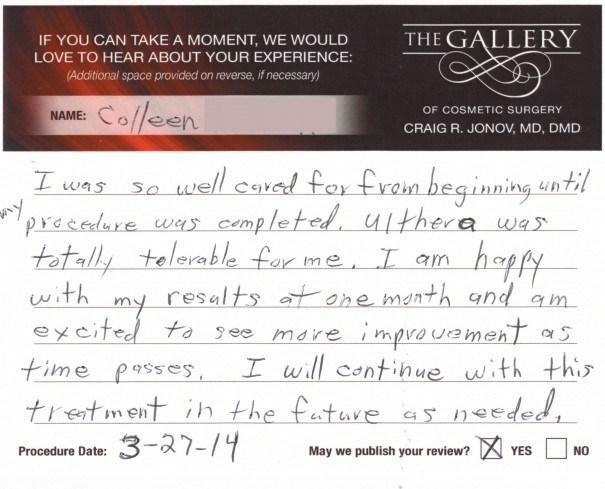 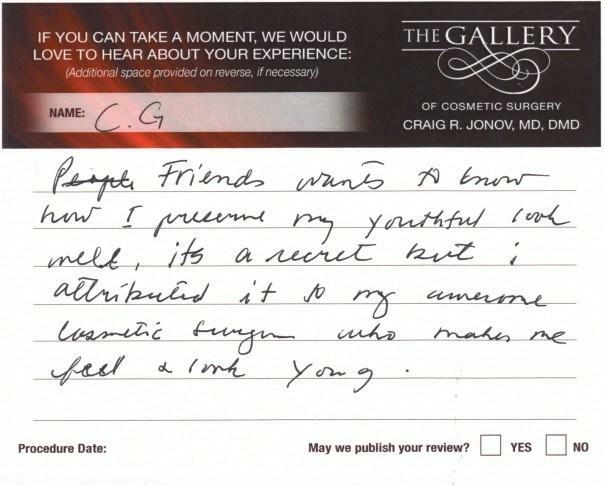 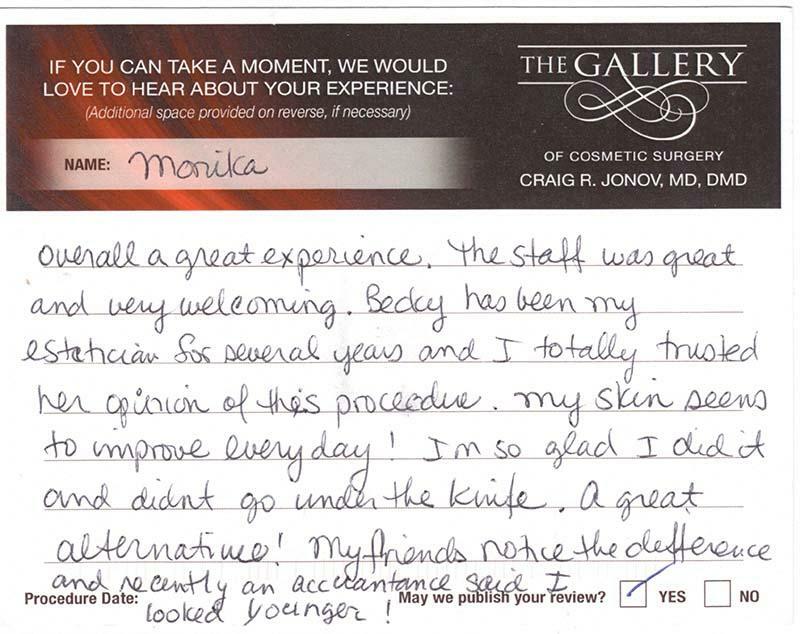 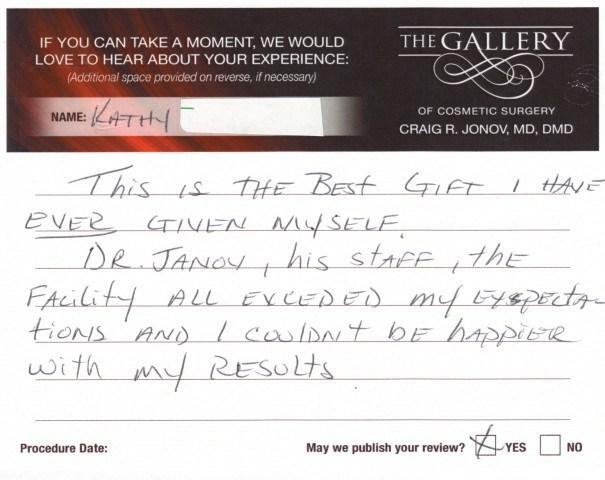 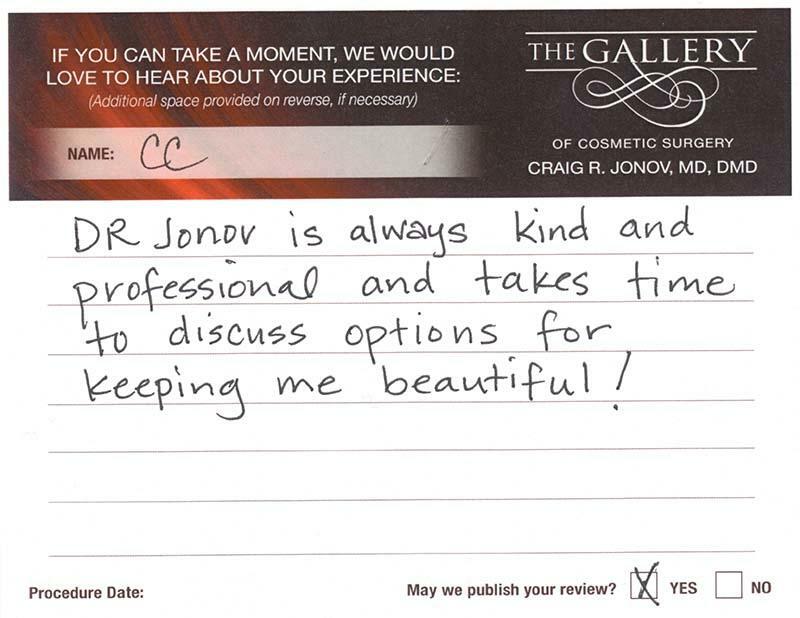 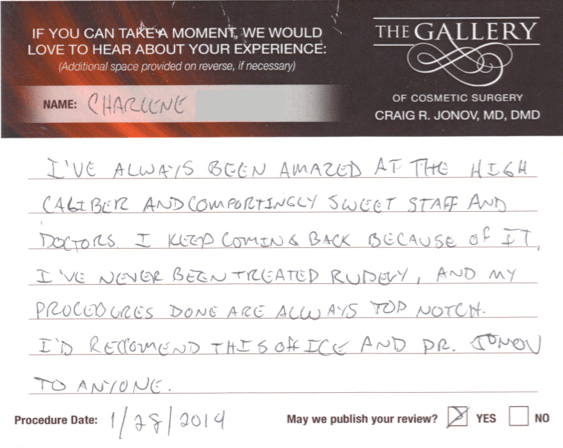 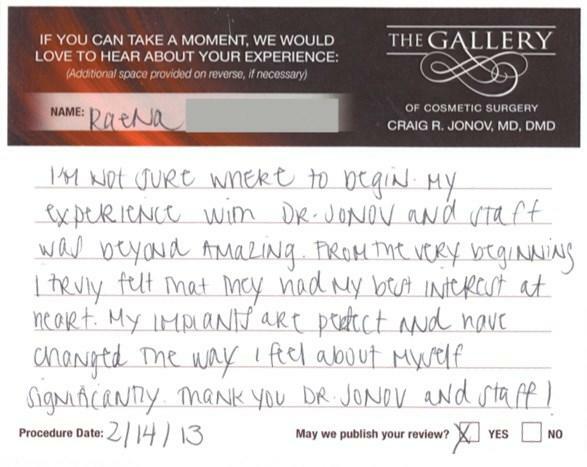 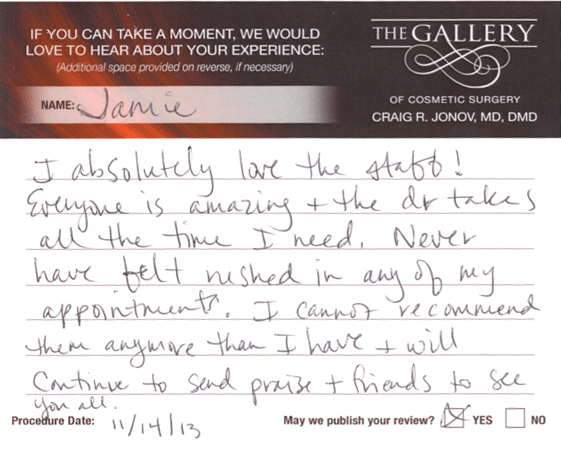 During your journey to find the best Seattle cosmetic surgeon to fulfill your aesthetic desires, we are privileged to share these reviews with you during this very important decision-making process. 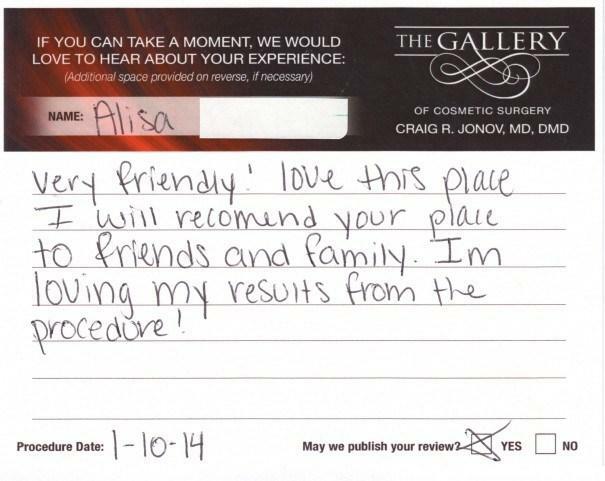 My experience has been nothing but excellent! 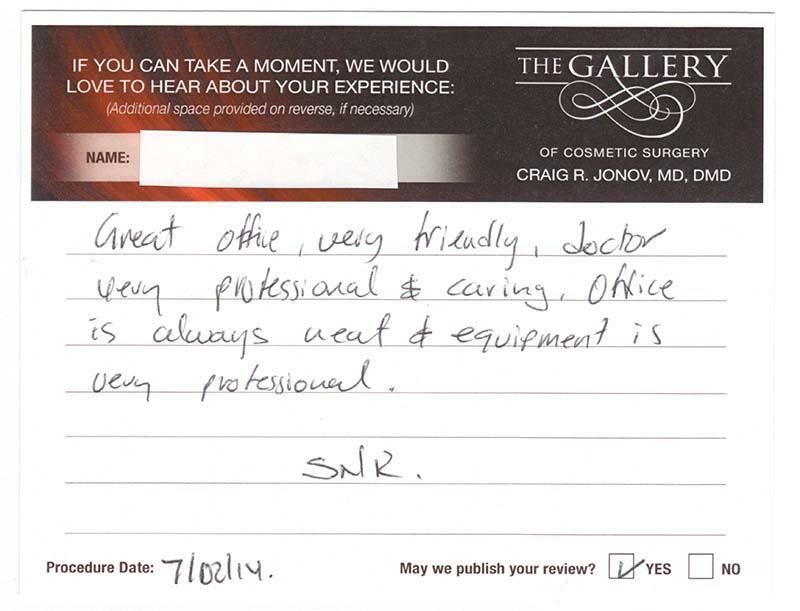 The staff always very friendly and professional. 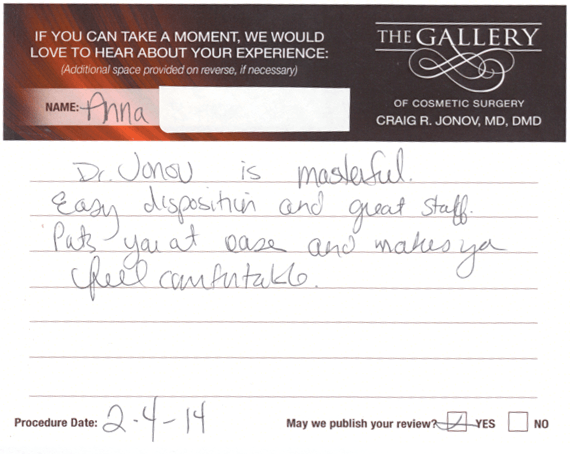 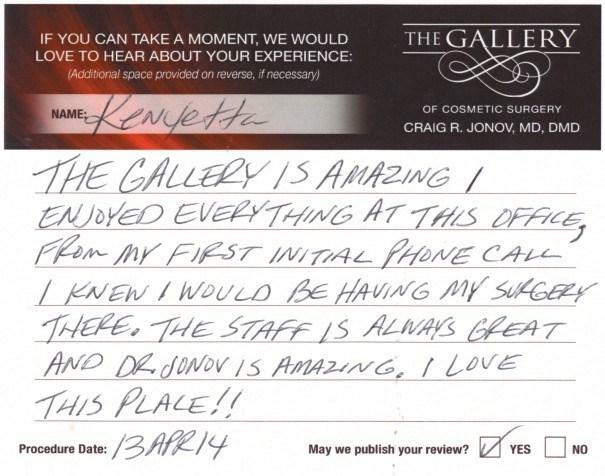 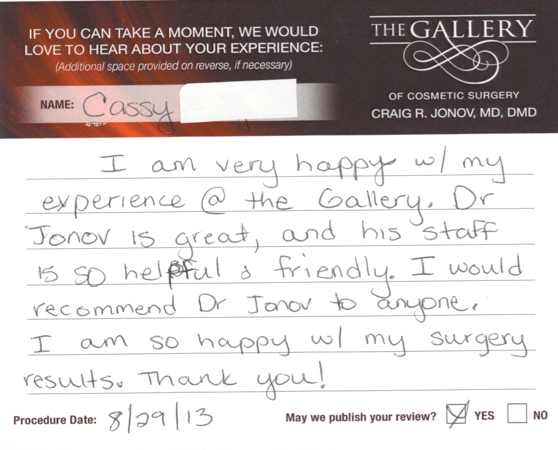 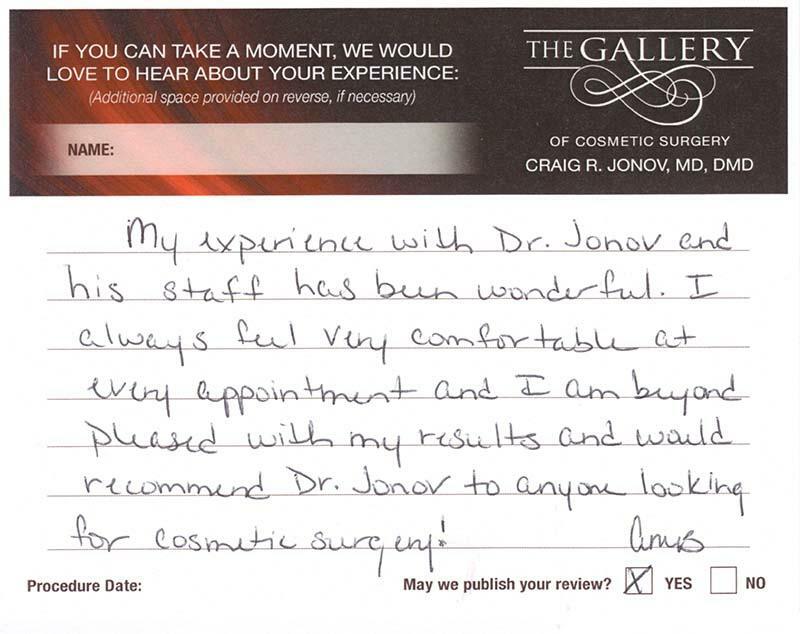 Dr. jonov you rock!